The ability to artificially grow organs may seem futuristic, but Indiana University School of Medicine researchers are closer to enabling that reality than you may think. 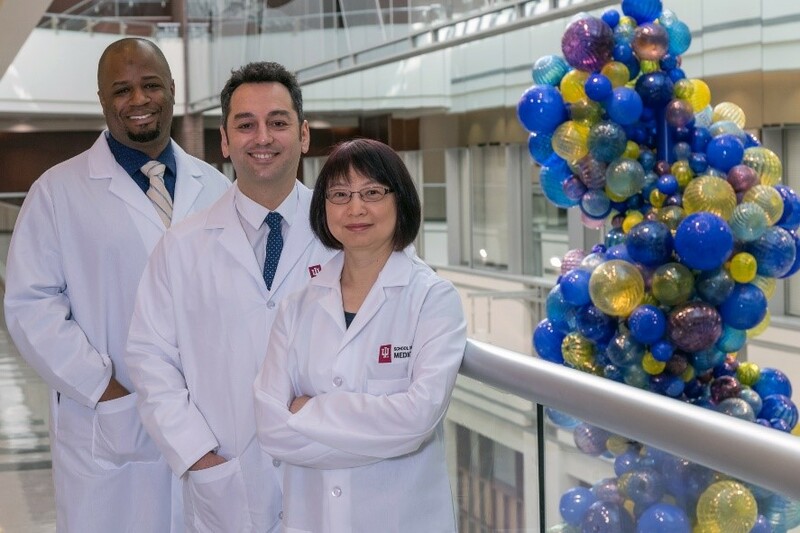 Burcin Ekser, MD, PhD, assistant professor of surgery at IU School of Medicine, and his research team are working to print 3D pig liver tissue from genetically engineered pig liver cells. Then, they use this 3D-printed tissue to develop new research models for xenotransplantation, or cross-species transplantation. 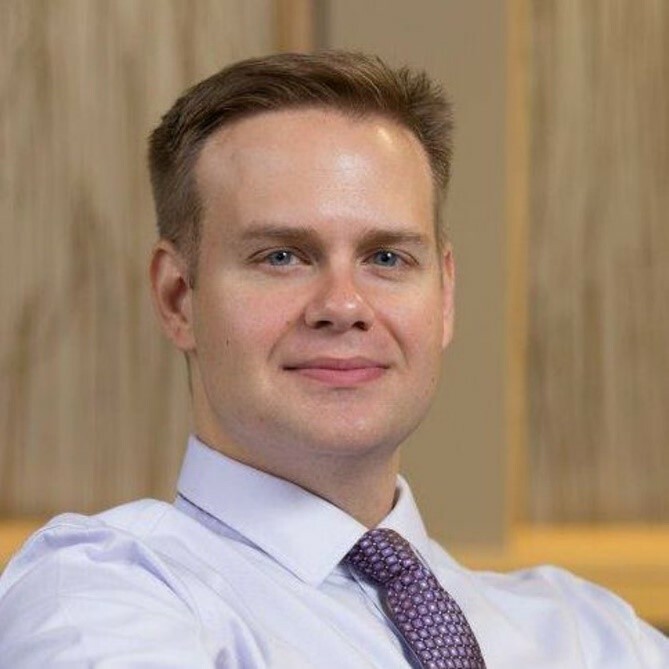 Dr. Ekser, who is director of the school’s xenotransplantation research lab, recently secured a four-year, $9 million sponsored research agreement from Lung Biotechnology PBC, a wholly-owned subsidiary of United Therapeutics Corporation. Lung Biotechnology is a Maryland-based company focused on organ transplantation technologies, including through xenotransplantation. According to the latest data from the Organ Procurement and Transplantation Network, there are more than 110,000 people in the United States waiting for a life-saving organ transplant, and each day, about 20 people die while waiting for a transplant. Anantha Shekhar, MD, PhD, IU School of Medicine’s executive associate dean for research affairs, said the collaboration with Lung Biotechnology aligns with the school’s goal to work with industry to speed the translation of scientific discoveries to patients. Dr. Ekser said in addition to the industry collaboration, IU School of Medicine also provides a great environment to enable his research. IU School of Medicine is home to a unique, scaffold-free Cyfuse Regenova 3D bioprinter that is part of the school’s 3D Bioprinting Core. IU was one of the first academic institutions in the U.S. to get this bioprinter and is now one of only two academic sites in the country with the technology. So far, Dr. Ekser and his collaborators, Lester Smith, PhD, manager of the bioprinting core and assistant professor of radiology and imaging sciences at IU School of Medicine, and Ping Li, PhD, assistant research professor of surgery at the school, an expert in genetic engineering and a senior researcher in the xenotransplantation research lab, have for the first time in literature bioprinted genetically engineered pig cells and continuously perfused a scaffold-free 3D bioprinted pig liver model for one week. The team also plans to create a library of pig genes and phenotype responses to document and eventually share their findings with the scientific community. This research is supported by the IUPUI Office of the Vice Chancellor for Research and the Indiana Clinical and Translational Sciences Institute, which is a statewide research partnership among IU, Purdue University and the University of Notre Dame. A team of six IUPUI faculty members has been awarded a five-year, $1.5 million grant to prepare undergraduate students for careers as secondary STEM teachers. The award comes from the National Science Foundation Robert Noyce Teacher Scholarship Program, which seeks to encourage talented science, technology, engineering and mathematics majors and professionals to become K-12 mathematics and science -- including engineering and computer science -- teachers. The project, "Carver Teaching Initiative -- Inspiring the Next Generation of STEM Teaching Professionals through Internships, Recruitment and Engagement," will support internships and scholarships for undergraduate students pursuing STEM degrees and preparing for careers as classroom teachers. It will provide 90 summer internships, 25 two-year scholarships of up to $16,500 each year and professional development incentives for 15 first-year teachers. STEM teaching is one area that is often in high demand among school districts. This project will focus on helping to meet that demand in Central Indiana, primarily through three district partners: MSD of Pike Township, MSD of Lawrence Township and Muncie Community Schools. A recent study of high school students' career interests led by grant principal investigator Jomo Mutegi found that "the strongest career influence that high-achieving high school students have is firsthand experience doing work in a given career area. The second strongest career influence is to have a vicarious experience, wherein students learn about the career from someone in that area." The internships, aggressive recruitment and early professional development will nurture interest and offer meaningful connections to the STEM field. The six IUPUI faculty members leading the project are Jomo W. Mutegi, Crystal Morton and Craig Willey from the IUPUI School of Education and James Hill, Tamiko Porter and Robert Yost from the IUPUI School of Science. Learn more online about the Carver Teaching Initiative. The IUPUI Center for Research and Learning (CRL) has announced the deadline for faculty members to submit team-research proposals for the Multidisciplinary Undergraduate Research Institute (MURI) for AY 2018-2019. MURI facilitates the creation and support of multidisciplinary research teams consisting of undergraduate students, graduate students, post-doctoral fellows, senior staff and faculty members. Projects must represent two or more disciplines and should offer undergraduate students the opportunity to engage in a substantive investigative experience focused on a significant research problem. This is a unique opportunity provided to IUPUI faculty and researchers for mentoring students while conducting pilot projects or testing new techniques and designs. Students receive a $1,000 (academic year) or $3,200 (summer) research stipend. The mentors will receive up to $2,000 for research supplies or equipment. 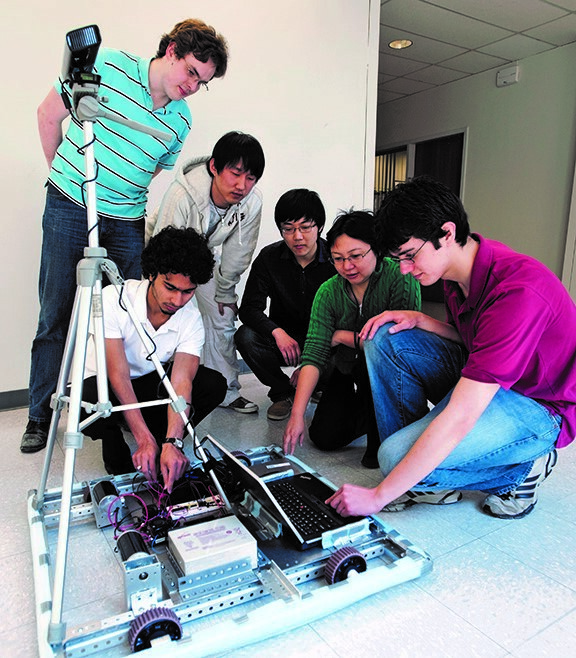 MURI is funded through a partnership between the Center for Research and Learning and the School of Engineering and Technology. Note: A $500 supplement will be provided only to co-mentors who are graduate students. MURI project proposals are submitted by the primary mentor, using the specified online platform and meeting the guidelines at the link below. After peer-review, a brief description of approved MURI projects will be posted on the CRL website. Students interested in participating in a MURI team will apply to the mentors directly by the posted deadlines. Once the mentors have decided on their teams, they will forward the student names to CRL, which then will ask the students for additional application information. Please submit your complete proposal, project description and current CV to the link below no later than 11:59 PM on Monday, July 16, 2018. Indiana consistently lands near the bottom of the nation’s health ranking lists, with too many babies dying before their first birthday and too many people smoking and abusing drugs. The Indiana CTSI is a statewide research partnership among Indiana University, Purdue University and the University of Notre Dame, represented by the institute’s three-color logo. A statewide network of researchers and staff at Indiana University, Purdue University and the University of Notre Dame have been working together to reverse this poor state of health, and are now seeking the help of Indiana residents of all ages and backgrounds as their partners. Indiana’s preeminent research universities are collaborating through the Indiana Clinical and Translational Sciences Institute (CTSI), which has recently been awarded more than $33 million in renewed National Institutes of Health (NIH) funding for the next five years. 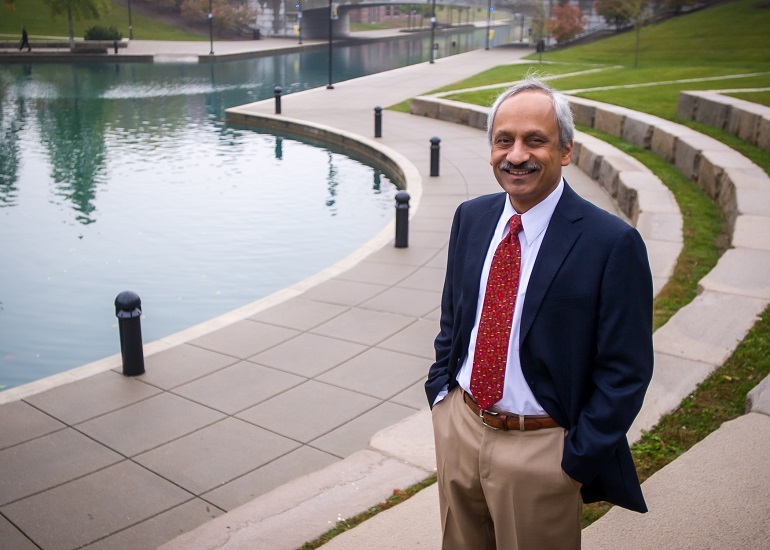 The institute was founded in 2008 by Anantha Shekhar, MD, PhD, Indiana CTSI director and IU associate vice president of research and University Clinical Affairs. Carmel Egan, PhD, Indiana CTSI chief operating officer, said the story of the institute reads like a great novel. Some of the progress researchers have made through the Indiana CTSI in recent years includes alerting state and local lawmakers to dangerous lead levels in South Bend and creating lead test kits as the first line of prevention against lead exposure. Researchers are also reducing risk factors for infant mortality in Central Indiana by lowering rates of depression and anxiety by 20 percent and improving nutrition intake, with a reported 24 percent fewer meals skipped per week. The Indiana CTSI has also launched a new initiative called “All IN for Health,” which aims to sign up at least 100,000 Indiana residents to its health research volunteer registry over the next three years. So far, the initiative has recruited more than 6,000 people. The All IN for Health website, www.AllIN4Health.info, provides valuable resources aligned with the major health issues affecting Indiana, such as information for expectant mothers interested in quitting smoking. The website also offers opportunities to become research volunteers and be matched to any of the 1,000 active Indiana-based research studies made possible through IU, Purdue and Notre Dame. One such study is part of the new FIT Core located at the IU School of Medicine. FIT stands for Functional, Imaging Tissue Core and allows participants to get screenings of grip, gait speed and bone density at no charge. All IN volunteers receive an email when they are matched with a study and can then decide if they want to participate. The program’s director Tiffany Campbell said listening to the public is also critical to achieving the Indiana CTSI’s long-term goal of making Indiana one of the nation’s healthiest states. There are two ways to sign up to be “All IN for Health”: Visit www.AllIN4Health.info and subscribe to its email newsletter containing resources for healthy living or sign up for the program’s volunteer registry to participate in health research. Community organizations are also encouraged to join the initiative by sharing All IN resources with their constituents and adding their health resources to All IN’s website. The new grant is the Indiana CTSI’s third, five-year Clinical and Translational Science Award (CTSA) from the NIH’s National Center for Advancing Translational Sciences. The CTSA Program, which includes a nationwide network of more than 50 academic medical centers, aims to improve the translational research process to get more treatments to more patients more quickly. New research from the Kelley School of Business on the IUPUI campus shows a board of directors should consider both the tenure of its top management team and how the team works together before hiring new employees. 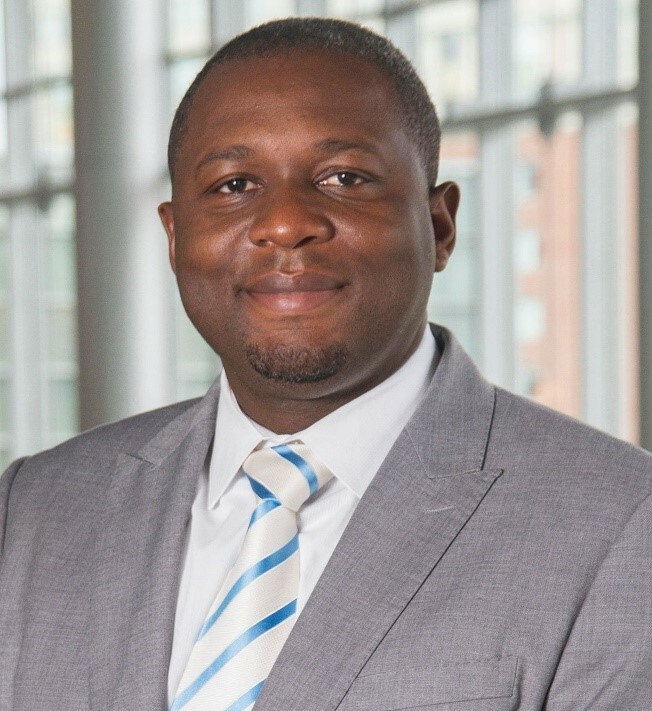 Hermann Ndofor, assistant professor of management at the Kelley School -- along with co-authors Yagun Yi and Zelong Wei, both of Xi'an Jiaotong University in China, and Xiaoming He of Beijing Jiaotong University -- found tenure diversity within a top management team affects team performance in two opposing ways. "A company with several employees who have been with the company for 20 years and others who have been hired more recently has created a team that is diverse in tenure. Employees who've been with the company for a long time have institutional knowledge, and more recent hires have knowledge of how other companies do business, which gives the top management team more information for decision-making, which can help team performance," Ndofor said. "However, when there is a big gap between the times when employees are hired, it can be difficult for longer-term employees and newcomers to identify with each other. This can lead to less team cohesion, and it can negatively affect performance," Ndofor said. The researchers learned these positive and negative effects can happen at the same time. Their research was recently published in the IEEE Transactions on Engineering Management Journal. "Part of the issue with diversity on teams is that, generally, it's heralded as a great thing. But if you look at studies, only about 30 percent show more team diversity creates a positive effect on team performance. We argue that it's how both the team and the team leader deal with the situation that determines whether a diverse team is successful," explained Ndofor. A team that functions and interacts well can overcome its differences. This often is driven by a team leader, Ndofor said. "For example, if a boss won't allow everyone to talk at a meeting, it doesn't make a difference if employees have a variety of views to share. Strong leadership ensures that, even if there is disagreement, the negative impact of team differences can be minimized," he said. Finally, researchers found the team's composition determines what effect increasing or decreasing the diversity of hires would be. For example, if the team already has a lot of variety among its employees -- some who have been with the company for a long time and others for just a few years -- an additional team member who increases team variety wouldn't have as much effect on performance. But if a team doesn't have much diversity in tenure, for example, if most employees have been with the company for 20 years, just adding one new teammate could have a big effect on top management team performance. IU School of Medicine nuclear medicine technology students traveled to London last month as part of a new Global Nuclear Medicine course. The course, offered this year for the first time, introduces students to the practice of nuclear medicine technology in another country and culminates in an international experience. While in London, the students participated in a clinic at two different hospitals, Kings College and St. Barts, and had the opportunity to observe procedures not routinely done in the United States, including Lutathera therapy, lung ventilation with technegas, Tc-DPD for cardiac amyloidosis, SeHCAT scan for bile acid malabsorption and Cr-51 EDTA for GFR calculations. Professionals in the homeless service and housing sectors now have access to e-learning modules and distance-based technical assistance to strengthen their knowledge and their programs' fidelity to the Housing First model. Housing First connects people experiencing homelessness to permanent housing without barriers to entry. The Housing First Technical Assistance and Training program was created by Dennis P. Watson, a researcher at the IU Richard M. Fairbanks School of Public Health at IUPUI, and staff at Heartland Alliance Health's Midwest Harm Reduction Institute in Chicago. The work was part of a larger study funded by the National Institute on Drug Abuse. The e-learning modules are self-paced, on-demand courses that can be accessed from any computer. The four modules are "Introduction to the Housing First Philosophy," "Housing Case Management," "Strategies for Working with Participants" and "Running a Housing First Program." The self-paced training takes four to six hours to complete, depending on the individual learner. The Corporation for Supportive Housing, or CSH, offers the modules through its Supportive Housing Training Center for purchase individually, as a curriculum or as part of their subscription service. The modules give agencies online access to the critical information for Housing First implementation, along with other training resources. Nicole Bahena, associate director of the CSH Supportive Housing Training Center, said the modules already are having an impact. "Our preliminary research demonstrates high learning satisfaction and positive implementation outcomes for participating housing agencies," Bahena said. "These e-learning modules are convenient too, allowing practitioners to get the training they need right from their desks." Watson, an associate professor of social and behavioral sciences at the IU Richard M. Fairbanks School of Public Health at IUPUI, said the modules were created due to a lack of well-described, testable strategies to implement the Housing First model. Unlike programs that require proof of "housing readiness" through attaining employment, sobriety and medication compliance, Housing First requires no preconditions and few service requirements. Watson said Housing First has been demonstrated to lead to significant improvements for individuals who are chronically homeless, including higher housing retention and improved physical and behavioral health. "But we encounter programs called 'Housing First' that do not fully understand what the model entails," Watson said. "Most often, these programs do not implement the harm reduction component that is essential to being able to work successfully with the population Housing First was designed to serve." Valery Shuman, senior director at Heartland Alliance Health, said the organization's Midwest Harm Reduction Institute has provided Housing First training in Chicago and beyond since 2004. "We wanted to make the adoption and implementation of the Housing First model accessible to organizations with limited funds and limited staff time," Shuman said. "Transitioning our in-person training to an e-learning format and offering distance-based consultation seemed a great way to increase accessibility, and our National Institute on Drug Abuse funding allowed us to research whether this model would be as impactful. "People definitely understand the Housing First model better after the e-learning modules, and the consultation helps them put that learning into practice. The more questions and real-world situations staff bring to the consultations, the richer the dialogue and learning." Watson disclosed the Housing First Technical Assistance and Training e-learning module to the Indiana University Innovation and Commercialization Office, which protects, markets and licenses intellectual property developed at Indiana University so it can be commercialized by industry. ICO licensed the modules to Heartland Alliance Health. This opportunity invites applications from research institutions and their investigators to conduct Health Services research projects in response to the first or second of three related specific objectives identified below. A separate program announcement is available to investigators whose research interests predominately are closer matched to the third specific objective. The goals of this opportunity are: 1) to bring together humanities scholars and digital technology specialists from different disciplines to share ideas and methods that advance humanities research and teaching via the use of digital technologies; 2) to reflect on, interpret, and analyze new digital media, multimedia, and text-based computing technologies and integrate these into humanities scholarship and teaching; 3) to build communities of inquiry and contribute to the intellectual vitality and professional development of participants; 4) to teach current and future generations of humanities scholars to design, develop, and use digital tools and environments for scholarship; and 5) to devise new and creative uses for technology that offer valuable models that can be applied specifically to humanities research and to allow those methodologies and approaches to be shared with humanities scholars and teachers. GeoPRISMS (Geodynamic Processes at Rifting and Subducting Margins) Program investigates the coupled geodynamics, earth surface processes, and climate interactions that build and modify continental margins over a wide range of timescales. These interactions cross the shoreline and have applications to margin evolution and dynamics, construction of stratigraphic architecture, accumulation of economic resources, and associated geologic hazards and environmental management. The GeoPRISMS Program includes two broadly integrated science initiatives (Subduction Cycles and Deformation (SCD) and Rift Initiation and Evolution (RIE)), linked by five overarching scientific topics and themes, where transformative advances are likely to occur in the decade 2011-2020, and where a focused scientific program could be most effective. These overarching science topics include 1) Origin and evolution of continental crust; 2) Fluids, magmas and their interactions; 3) Climate-surface-tectonics feedbacks; 4) Geochemical cycles; and 5) Plate boundary deformation and geodynamics. Each of the initiatives has identified primary sites for focused investigations, as well as thematic studies that will complement primary site studies.